In my free time I love to spend the light hours of the day outdoors, otherwise I feel like I wasted my day. 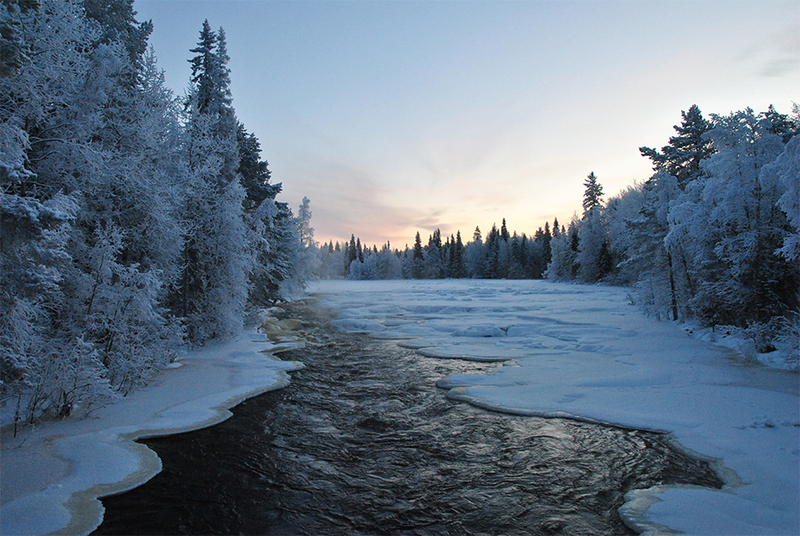 Accessing the nature in wintertime without snowshoes or skis can be tricky but doable, once you know where to go. The finnish website luontoon.fi (in english nationalparks.fi) is a helpful tool if you’re not familiar with the nature around you – I’m also using it when I’m out of ideas on where to go in my free time. The page has a search function that shows information about different kinds of nature areas and parks near you. The pictures above are from the Vaattunki-Vikajärvi area. It’s the official outdoor area of the city of Rovaniemi and officially called Napapiirin retkeilyalue / Arctic Circle Hiking Area. It’s located 25 kilometers towards Ivalo from the city center. The routes are easy and well marked with campfire sites and information signs along the path. The area is so frequently visited that depending on the snow conditions, at least some routes are accessible in wintertime without snow shoes. Disabled people and families with small children can enjoy the nature here as well – at the beginning of the trekking routes in Vaattunkiköngäs there’s a 1,5 km long path that is accessible by wheelchair and the great view to the Raudanjoki river can be enjoyed on the bridge. 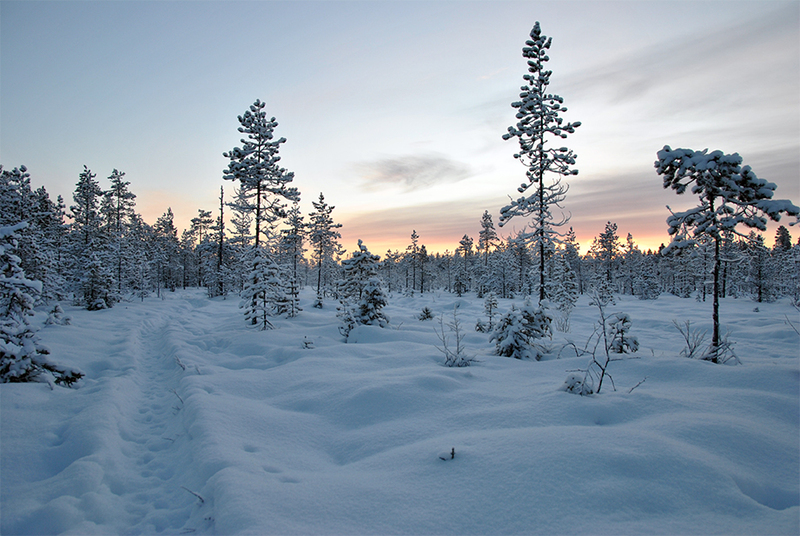 The Olkkajärvi nature trail is located between the Napapiirin retkeilyalue and the Arctic Circle Santa Claus village. 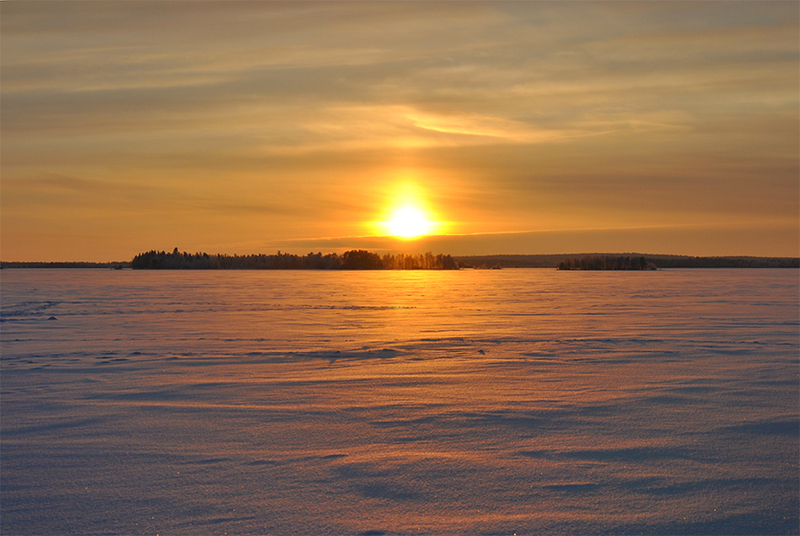 I only stopped there on my way back home to walk on the ice and admire the winter sun that had finally showed up! 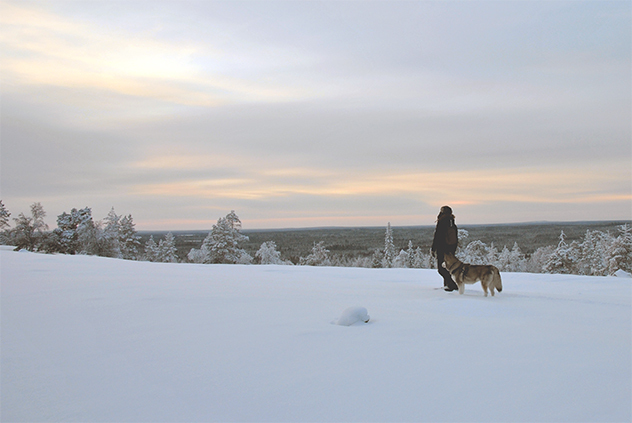 The Ounasvaara nature trails and winter walking path are located just 2 kilometers away from the city center. The path markings have been renewed and they are easy to follow. I love to go for walks here especially when I’m not planning on spending more than 3 hours outdoors.